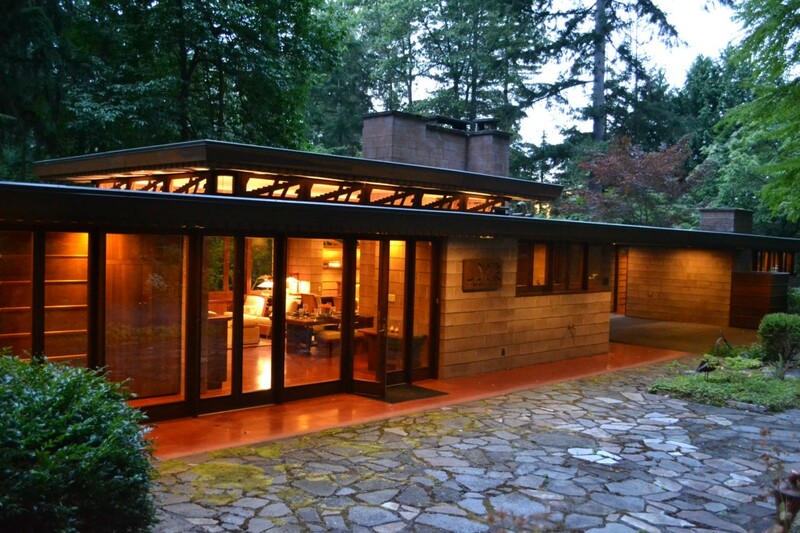 Yes please, I would like a Frank Lloyd Wright Usonian house. Five years ago, before we started searching for land, we started taking about the kind of house we’d like to build. As any couple knows, you need to start having these conversations early. You don’t want to get all the way to excavating a driveway before you realize that you were envisioning a cozy wood-heated log home and he’s got his eye on an executive mansion. Fortunately, we were on the same page from the start, and both of those options were well off the table. At least we agreed on what we didn’t want. But narrowing down what we did want took more effort and a whole lot of Google image searching. Oh sure, there were things we both loved. But loving something and being able to afford it were two different things. 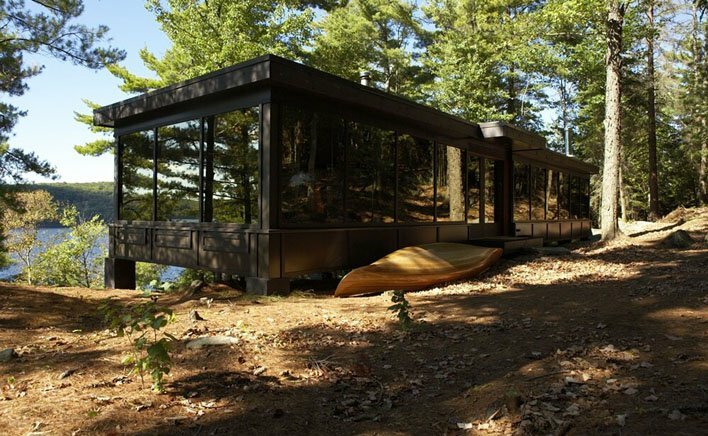 MAFCO’s Colero Thomson House at Honey Harbour, Georgian Bay, ON. Now that’s what we’re talking about! The low flat lines. The glass walls. The nice way it integrates into the surroundings. Here was the answer to my Frank Lloyd Wright Usonian dream. 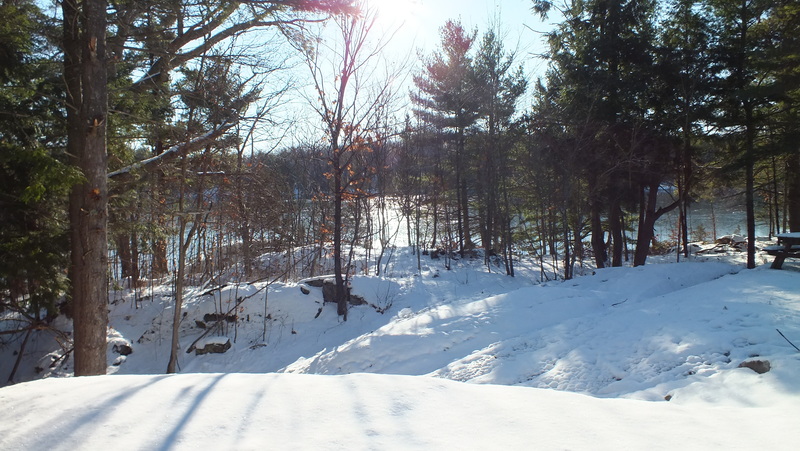 So we contacted Dan and Diane Molenaar, founders of MAFCO and made a trip out to their Haliburton cottage – the very first MAFCO House and the one that made them realize that theirs was a marketable idea. 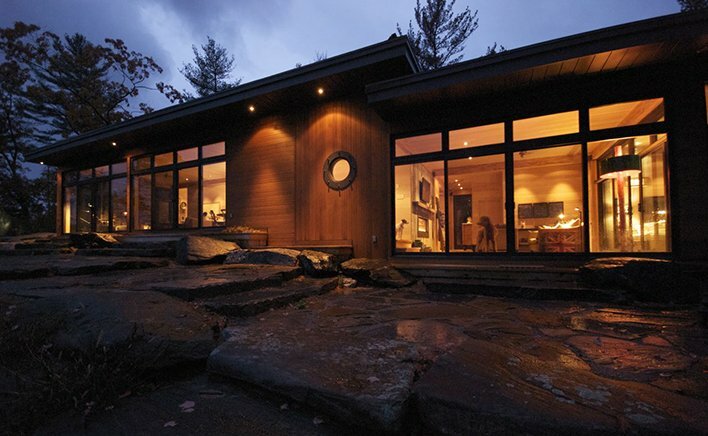 The amber-tinted glass for Dan and Diane Molenaar’s first cottage was reclaimed from a Toronto office tower. Aside from the aesthetic appeal, the beauty of MAFCO homes is that they are modular – coming in standardized 16×16 foot units — with the beams and other major components pre-cut at the factory. This means saving on-site construction costs. 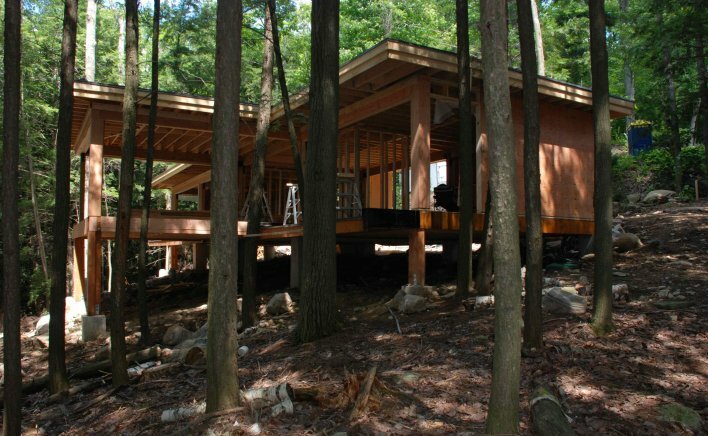 The other beauty is that they are post and beam construction, meaning wide-open spaces inside with no supporting walls. Be still my wannabe architectural heart! The beams are engineered lumber, so are stronger for their bulk than standard beams. They are also more uniform and predictable. 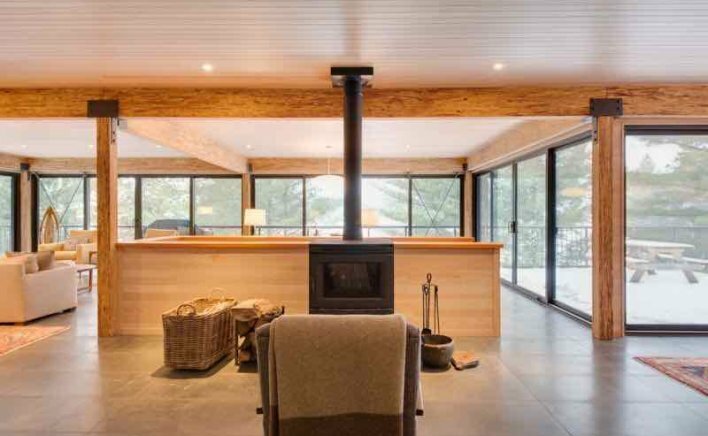 And because they are made from sawmill scraps and other wood waste, engineered beams are more ecologically sound than using up enormous hardwood trees. MAFCO houses are supported by pillars so they can be built on steep or variable level topography. And, since there is no need to blast or excavate, the construction is ecologically sensitive. So, here we are four and half years later and we’re almost ready to spec out our MAFCO house — at least the footprint. We’ve met again with Dan and Diane. They’ve been to our property. We’ve talked at length about the project. They are really great to work with and totally understand the dream. How big of a house do we really need? How many modules can we even fit on our narrow strip of land? In what arrangement? What should the floorplan look like? Some of those things are almost sorted out and I’ll be talking about them in upcoming posts. Meanwhile, enjoy the view from the top of the driveway. PreviousWill New Legislation Mean No New Orcas in Ontario?